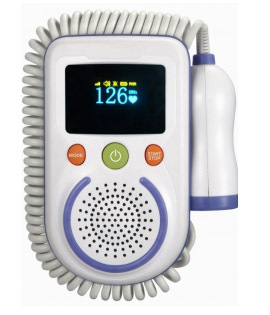 FD-100 Ultrasonic Fetal Doppler is a high performance fetal heart beat detector with color OLED displaying FHR value, which can meet routine examination requirements of obstetricians. 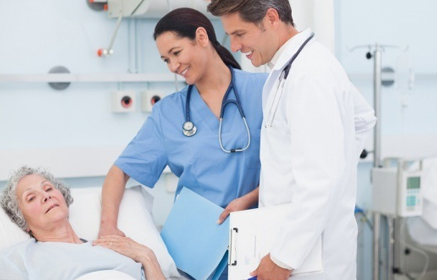 It is applicable for the private obstetrician's office, antepartum clinic, obstetrical department of hospital and remote monitoring situations, or using in home. Double Color (blue & yellow) OLED display FHR value, FHR intensity, speaker volume, battery capacity Indicator, working mode, frequency of the probe and FHR synchronization symbol. Accurate FHR detection. It has FHR mode, average FHR mode, manual count FHR mode and count-down FHR mode. Change to power saving mode automatically without signal within 30 seconds.